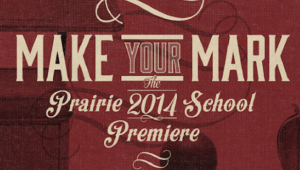 Home : Prairie Blog : Premiere : Premiere, Take a Sneak Peek at our Silent & Live Auction Items! Premiere, Take a Sneak Peek at our Silent & Live Auction Items! Take a sneak peek at the spectacular auction items featured at this year’s Premiere. Make your list, fill your coffers and come prepared to outbid your fellow partygoers. Event Information: What is Premiere? Program & Catalog: Take a sneak peek at the spectacular auction items featured at this year’s event. Support the Event: Donate a bottle of wine to this year’s Cork Pull. Thank you to our 2014 donors and sponsors! This entry was posted in Premiere by Communications Department. Bookmark the permalink.